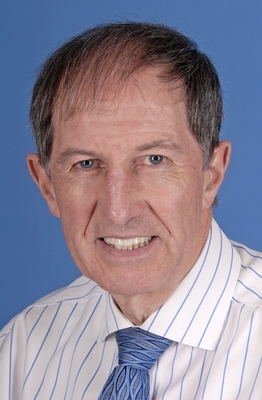 Peter Macfarlane began work on Computer Assisted Reporting of Electrocardiograms (ECG) in 1964 in in the Department of Medical Cardiology, Glasgow Royal Infirmary. 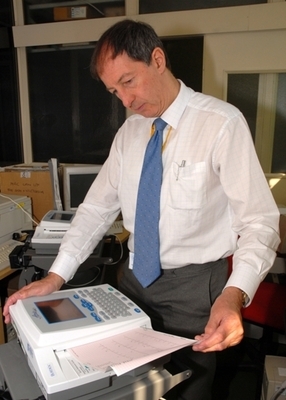 To record and analyse the ECGs, a standard 3 channel VCG system was combined with 3 single-channel electrocardiographic amplifiers and a multi-channel analogue tape recorder linked to a small PDP8 digital converter, allowing ECGs to be replayed from the tape recorder to the computer. An ECG database was accumulated in analogue form then converted to digital. "We are always looking for ways to improve interpretations based on experience. Believe it or not, the definition of a heart attack keeps changing from a clinical point of view"
In the early 1970s, portable units were assembled which could be transported to wards and clinics easily on a trolley. The Glasgow Program is now used globally by some of the world’s leading electro-medical device manufacturers and has been continually improved since its initial development. It is estimated that 20 million patients a year worldwide come into contact with the technology. The Glasgow diagnostic criteria have also significantly influenced international guidelines for diagnosing a heart attack from the ECG. 2009. AHA/ACCF/HRS Recommendations for the Standardization and Interpretation of the Electrocardiogram: Part VI: Acute Ischemia/Infarction. Journal of the American College of Cardiology. 53:11: 1003-11. 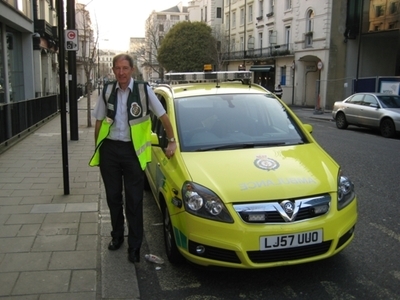 World Changing Project, "First Routine hospital-based ECG interpretation by minicomputer ," in University of Glasgow World Changing (University of Glasgow, 2010); http://www.worldchanging.glasgow.ac.uk/article/?id=77 (accessed April 26, 2019). World Changing Project. "First Routine hospital-based ECG interpretation by minicomputer ." In University of Glasgow World Changing. University of Glasgow, 2010. http://www.worldchanging.glasgow.ac.uk/article/?id=77 (accessed April 26, 2019). World Changing Project. "First Routine hospital-based ECG interpretation by minicomputer ." University of Glasgow World Changing. University of Glasgow, 2010. 26 April 2019 <http://www.worldchanging.glasgow.ac.uk/article/?id=77>.